Select “Schoology“. 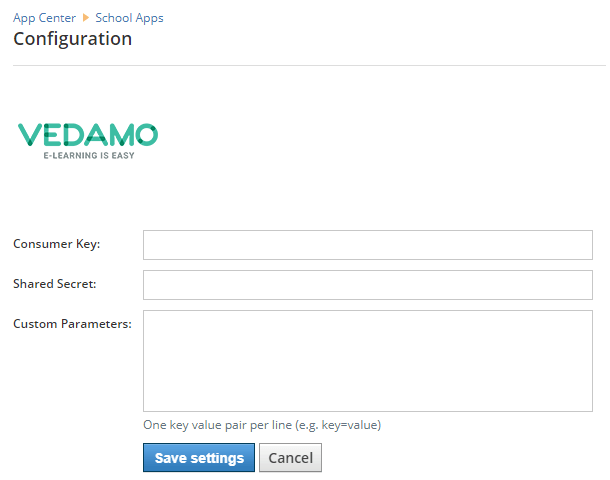 It will navigate you to the page “Integration with Schoology”. It will generate a table with three rows – Consumer Key, Shared Secret and Config URL. You will need them to integrate the Virtual Classroom in Schoology. 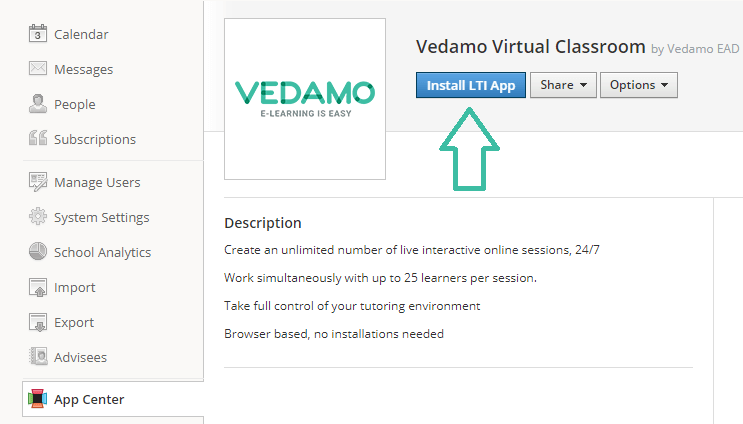 Use the steps below to install Vedamo Virtual Classroom app on a system level within Schoology. Click “Save Settings” to save.